Albeit people now prefer to use social tools, like WhatsApp, Line, Kik, Viber, etc. to keep in touch with friends, families or someone else, it's still of great importance to keep contacts on our phone, which can work for urgent or formal occasions in particular. 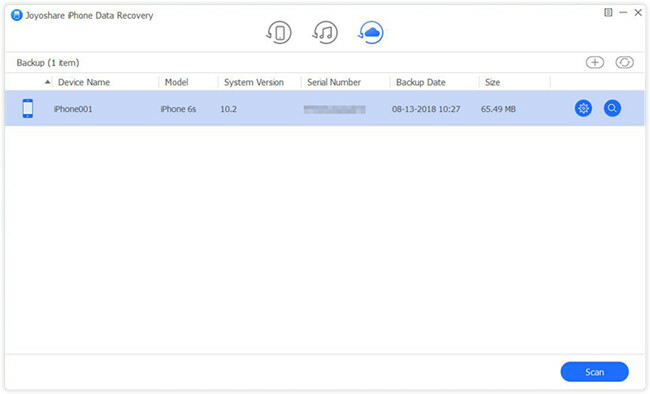 To make you less panicked, we presently are going to talking about how to recover deleted contacts on iPhone 6/6s regardless of there are backup files or not. Initially, a dependable iPhone 6s/6 contacts recovery tool is required, which are supposed to be applied to recover lost or deleted iPhone 6/6s contacts handily, safely and professionally. 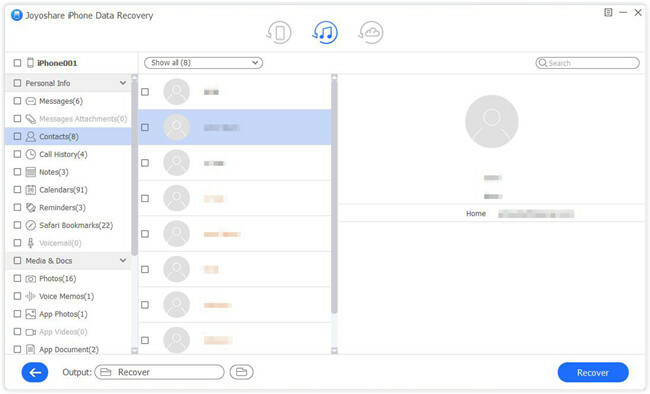 Luckily, Joyoshare iPhone Data Recovery for Windows (or Joyoshare iPhone Data Recovery for Mac) is such an ideal program, which is sufficient enough to do a good job for you. As a matter of fact, this versatile software can do more than you think. It can support not only iPhone 6/6s, but also the newest iPhone XS/XS Max/XR/X and the oldest iPhone 4. Briefly, any models of iOS device can be compatible with it without any problem, let alone the latest iOS 12. 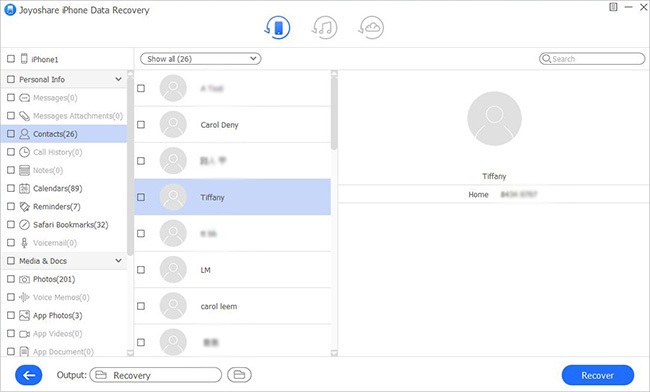 Besides, up to 20 kinds of data types are recoverable from iPhone/iPad/iPod touch, or from iTunes and iCloud backup, which include contacts, videos, photos, notes, reminders, Safari bookmarks, messages & attachments, call history, etc. 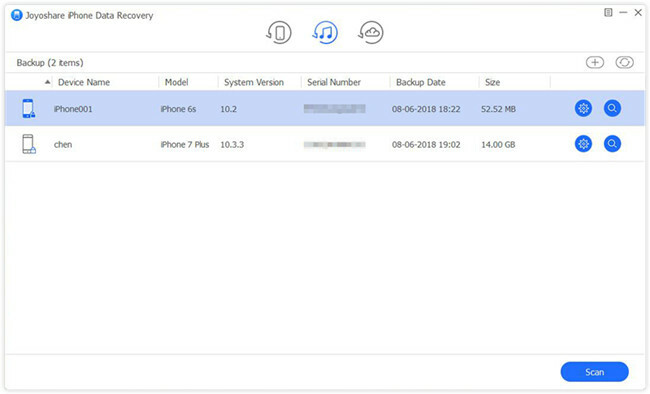 Any iPhone device that can be detected properly by Joyoshare iPhone Data Recovery and comes with no backup file is applicable to the first mode: "Recover from iDevice". 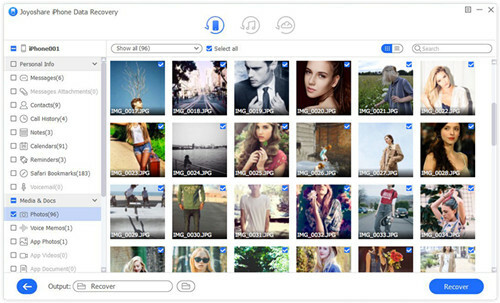 Download and install Joyoshare iPhone Data Recovery firstly. 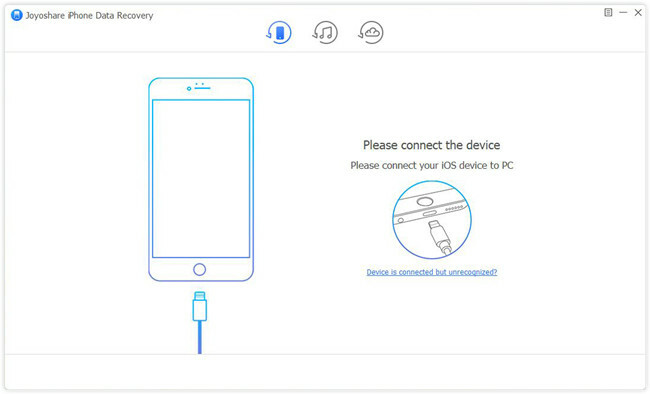 Under the mode of "Recover from iDevice", connect your iPhone 6 or iPhone 6s. Do remember to "Trust" the computer. Soon after, your phone will be detected and recognized with related device info come along. All supported data types are systematically checked by default on the right side. You have to choose desired data types based on actual requirements, such as "Contacts". 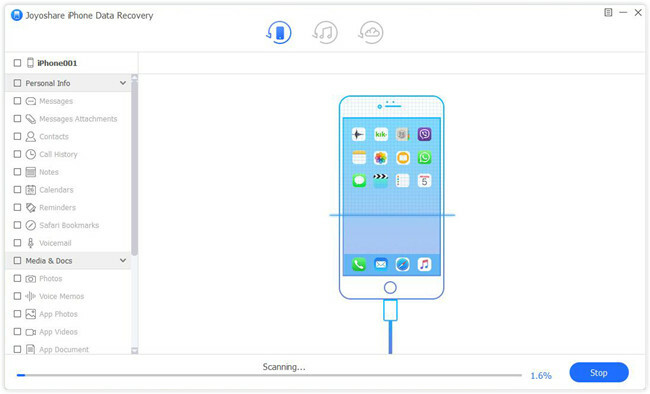 Next, simply tap on the "Scan" button to start to analyzing files saved on iPhone 6/6s. Joyoshare will spend some time scanning all recoverable data and displaying them for you to choose. You can preview any items in the way you like and get utmost liberty to select needed files. Continue to click the "Recover" button to export deleted contacts and more data on your computer local folder. A recent iTunes backup file has the biggest possibility to contain your intact iPhone 6s/6 data, a full list of contacts and anything important. Keep reading to see how to extract them effortlessly. Get started to run Joyoshare iPhone Data Recovery and go straight to switch recover mode to "Recover from iTunes" on the top menu bar. 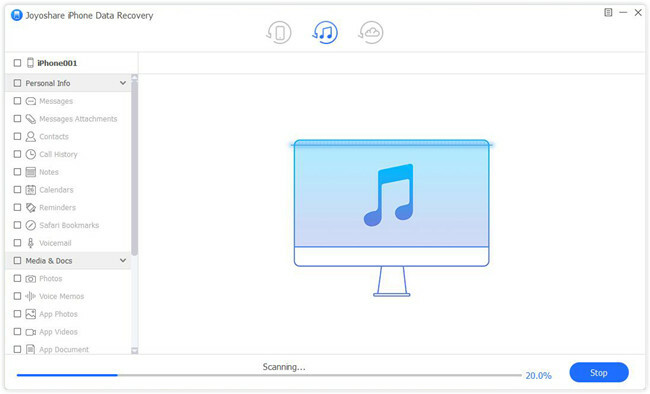 Joyoshare iPhone Data Recovery has ability to detect all local iTunes backup files and present them in a list orderly. You can pick up one backup file according to the device model, backup date, file size, etc. Hereafter, go to hit the gear icon behind it to confirm data types. It is available to check "Contacts" only or tick all types together. Now you ought to press the "Scan" button on the right bottom. It will take a while for scanning selected files, after which all data will be classified in different categories. As per your needs, you can filter out useless items by enabling "Only show the deleted" and then mark whatever you want. 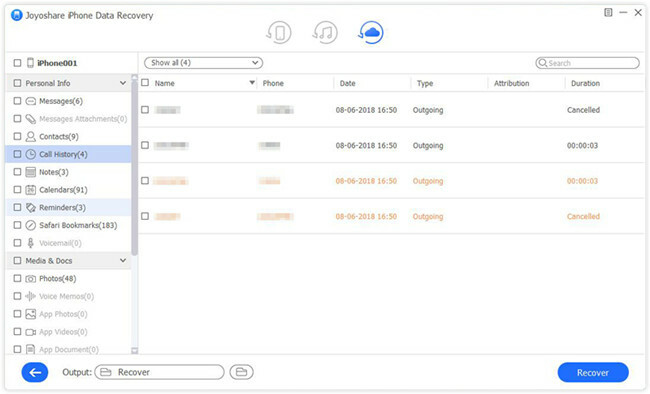 With a simple tap on "Recover" button, a recovery assignment will be executed soon. 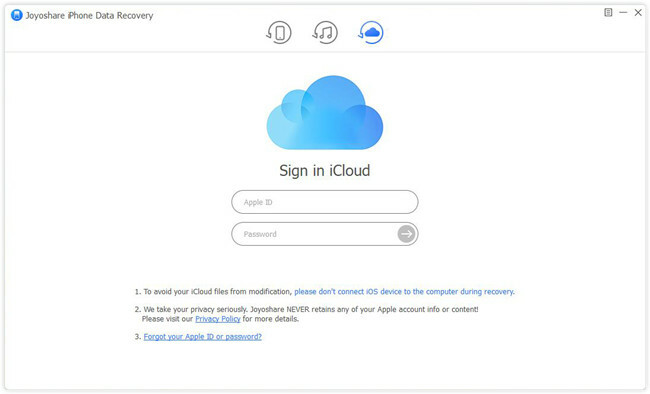 Similarly, an iCloud backup can play a critical role in data recovery, which assists you to access your iCloud account and choose deleted contacts for later retrieval with ease. Launch Joyoshare iPhone Data Recovery and enter your Apple ID & password to log in iCloud account at the same time. No worries; no records will be taken for privacy and contents by Joyoshare. Likewise, your iCloud backup files will be shown in your sight. If you cannot find the latest one, use the "refresh" button to refresh data. Then download the most relevant one and press its corresponding "Gear" icon to decide what files you'd like to recover. Afterwards, click the "Scan" button. Once the scan process ends, you can go forward to view "Contacts" category and figure out which one is important. After selection, you can hit the "Recover" button to output them.